Today is the birthday of John Gilroy (May 30, 1898-April 11, 1985). 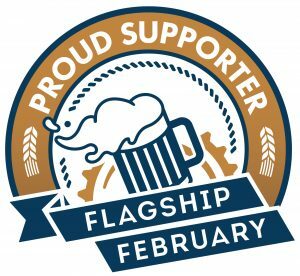 While not a brewer or even brewery owner, he was nonetheless at least partially responsible for the success of Guinness with his iconic advertising that he created for them beginning in 1928. Here’s his entry from Wikipedia. “Born in Whitley Bay, Northumberland, England, Gilroy attended Durham University until his studies were interrupted by World War I, during which he served with the Royal Field Artillery. He resumed studying at the Royal College of Art in London, where he remained as a teacher. He taught at Camberwell College of Arts. John Gilroy (1898-1985) was a superb natural draughtsman and a versatile illustrator and artist who produced advertsising material, portraits, landscapes, murals and greeting cards. 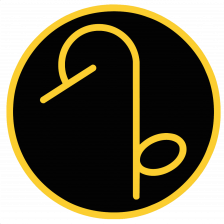 Born on the 30th of May 1898 at Whitley Bay, Newcastle upon Tyne, he was one of a family of eight (five boys and three girls), born to John William Gilroy and his wife Elizabeth. William Gilroy was a marine landscape painter and technical draughtsman and it was obvious from an early age that John junior was going to follow in his footsteps. The young John practised copying cartoons from Punch and took on all kinds of work to pay for drawing materials. From the age of fifteen he was a cartoonist for the Evening Chronicle, Newcastle, commissioned to produce cartoons of well-known entertainers who played the Newcastle theatres. John attended Sandyford School followed, in 1909, by Heaton Park Road Upper School. At this date his family was living at 25 Kingsley Place. In June 1912, he left Heaton Park and, having attained his drawing certificate, won a scholarship to Armstrong College Art School, Durham University to study under Professor K.G. Hatten. The First World War interrupted Gilroy’s studies and he served with the Royal Field Artillery in France, Italy and Palestine. In September 1919 he resumed his studies taking a place at the Royal College of Art, London (RCA). During his time there he produced illustrations for the college student magazine and occasionally played in goal for the college football team. In 1920 he attained his Board of Education certificate and the RCA diploma in decorative painting. His work was also rewarded through scholarships and prizes, winning, in 1919, the North Lordbourne prize for composition and, in 1921, the college drawing prize and the British Institute Scholarship for decorative painting. In 1922 Gilroy won an RCA travelling scholarship in mural painting having missed the Prix de Rome by only one vote. Gilroy graduated from the RCA in July 1923 but stayed on there until 1925 as a teacher. From 1924 to 1926 he also taught drawing from the figure in the evenings at the Camberwell School of Art. In 1924 he married Gwendoline Peri-Short who had been a fellow pupil at the RCA and three years later they had a son, John. In 1925 Gilroy embarked on his long association with the advertising agency S H Benson Ltd (Benson’s). Although Benson’s was the first advertising agency for whom Gilroy worked as an in-house artist, he had already proven himself in the commercial art sphere. His earliest known piece of commercial art, dating from 1920 when he was still a student, was for a promotional leaflet for the Mangnall-Irving Thrust-Borer commissioned by the Hydraulic Engineering Co.
Gilroy’s early work at Benson’s is reputed to have been on campaigns for Skipper Sardines and Virol. During his time there he also worked on campaigns for Bovril, Macleans and Monk & Glass Custard. 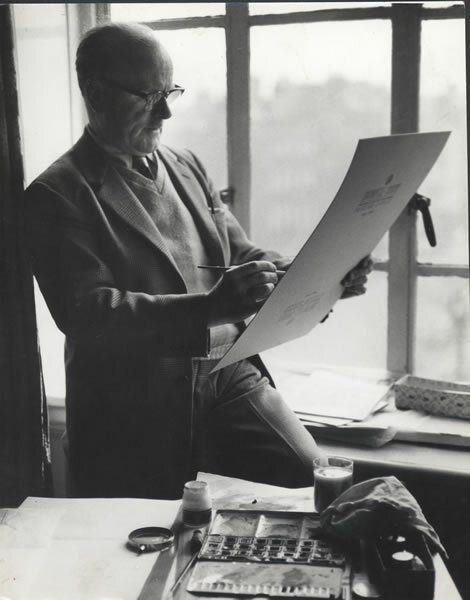 His first significant assignment was the Mustard Club campaign for Coleman’s of Norwich, on which he worked with fellow artist William Brearley and copywriters Oswald Greene and Dorothy L Sayers. Between 1926 and 1933 the pens of Gilroy and Brearley brought eccentric characters like Baron de Beef, Signor Spaghetti and Miss Di Gester to life on bill boards and in magazines everywhere. In 1928 Benson’s won the Guinness advertising account and Gilroy became involved with the product with which his work is most closely associated. Gilroy’s first known Guinness poster was produced in 1930. Working with copywriters like Ronald Barton and Robert Bevan, Gilroy produced more than 100 press advertisements and nearly 50 poster designs for Guinness over 35 years. 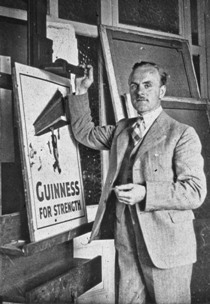 He is perhaps best remembered for his posters featuring the girder carrier and the wood cutter from the Guinness for Strength campaigns of the early 1930s and for the Guinness animals. The animals, including a lion, toucan, gnu and kangaroo, appeared, with their long-suffering zookeeper, on posters, press advertisements, show cards and waiter trays from the 1930s to the 1960s. 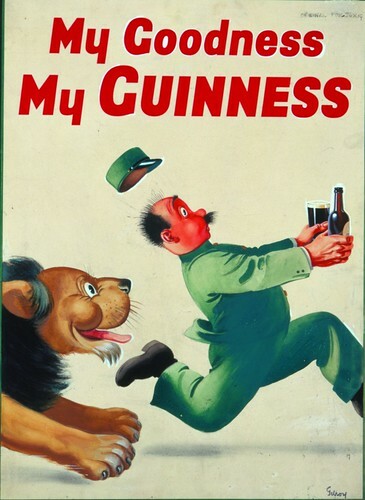 Gilroy continued to produce Guinness advertisements well into the 1960s even though he left Benson’s employment as an in-house artist in the 1940s to continue freelance work. During the 1920s and succeeding decades commercial art was not Gilroy’s sole occupation; he began to build his reputation as a painterboth of portraits and landscapes. One of his earliest portrait commissions was to paint the future Edward V111 for the Royal Mid-Surrey Golf Club, of which Gilroy was a member and the Prince was patron. In 1930, while the family was living at The Cottage, Hyde Park Road, Kew Gardens, Gilroy has his first painting, Gwen. exhibited at the Royal Academy. Throughout the 1930s Gilroy’s work continued to be exhibited at the Royal Academy and to appear on advertising boardings, in newspapers and even in the Radio Times. In 1941, with the onset of the blitz, the artist moved to Rasehill, Chorleywood Road, Rickmansworth. His wife and son moved to Cheltenham where, in the same year, he held a one-man exhibition of his work, which then travelled to Sunderland Public Art Gallery. Throughout the war years, Gilroy’s work continued to be exhibited at the Royal Academy while his commercial art talents were employed by the Ministry of Information in campaigns such as Make-do-and-mend, Keep it under your hat and We want your kitchen waste. He also improved morale by painting murals at various Royal Air Force bases and produced a series of drawings-in-one-line of contemporary political and military figures, called Headlines, which appered in The Star. By 1945, when his painting Diamond Setting was exhibited at the Royal Academy, the artist’s address was given as 6 Avenue Studios, Sydney Close, SW3. A year laterhe prodced another mural, this time in the bar of the Mrritt Arms Hotel near Greta Bridge on the estate of his close friend Major Morritt. The work at the Morritt Arms began on the 1st February 1946 and was completed within10 days. When Gilroy and his assistant proudly displayed the walls of the bar decorated with Dickensian figures, closer inspection revealed them to be caricatures of local people and staff from the hotel. In 1949 Esme Jeudwine, a former pupil and portrait subject, introduced Gilroy to the Royle family and another long and successful association began. Gilroy produced five greeting card designs for Royle Publications Ltd (Royles) in that year with another 464 published designs over the next 35 year. In 1966, Gilroy was acting Art Director for Royles. In 1950 Gilroy married Elizabeth Margaret Bramley (nee Outram Thwaite). The couple lived at 17 Queen’s Gate, Kensington, but moved a year later to 10 Holland Park Road, W14, the former home and studio of Sir Bernard Partridge, whose cartoons Gilroy had copied from Punch as a child. The magnificent studio at Holland Park Road saw the creation of advertising work for T.F. Carrington Van PostingLtd. where Gilroy was Head of the Art Department, and was regularly visited by members of the Royal Family, politicians, actors and many others who came to have theit portraits painted. In 1957 Gilroy held another one-man exhibition this time at Leighton House Gallery and two years later produced a series of landscapes of McGill University, Montreal, to illustrate a book McGill, The Story of a University, edited by Hugh MacLennan. In 1970 Gilroy held a retrospective exhibition at Upper Grosvenor Galleries and three years later an exhibition of his humorous designs for Royles was held at the London headquarters of Austin Reed Ltd. In his later years ‘Jack’ Gilroy was a longstanding and much loved member of the Garrick Club where he was Chairman of the Works of Art Committee and where a number of his portraits now hang. In 1975 Gilroy was awarded an honorary MA by Newcastle University and in 1981, now living at 6 Ryecroft Street, Fulham, he was appointed a Freeman of the City of London. John Gilroy died at Guildford on the 11th April 1985, aged 86, and is buried at Ampney St Peter in Gloucestershire near the home of his son and three grandchildren. 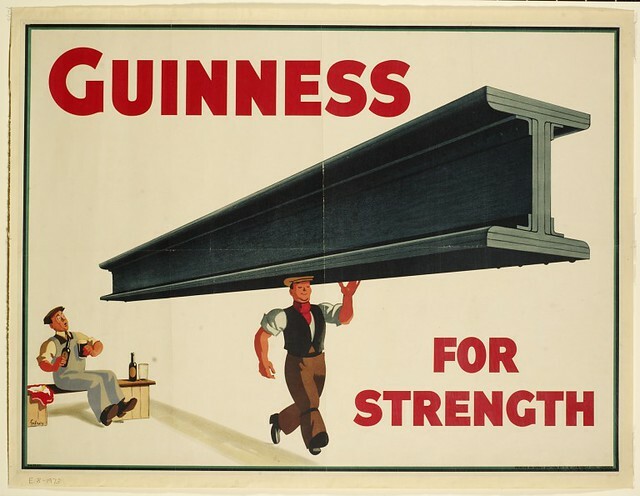 He created the zoo animals and other popular characters for Guinness from either 1928 or the early 1930s (accounts differ), but the first one he did appears to be the Guinness for Strength ad featuring a steel girder in 1934. 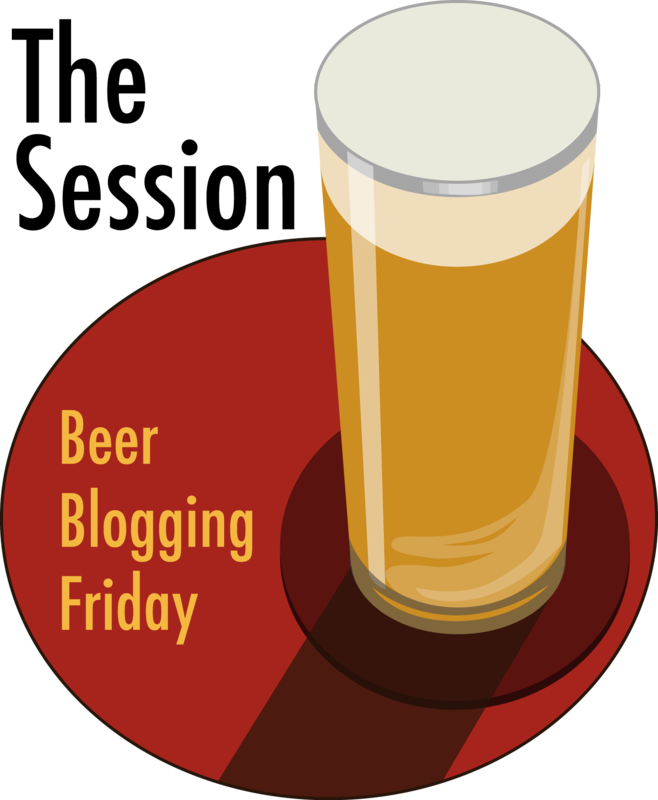 According to some accounts, it was so popular that people even started ordering a ‘girder’ in the pub. The idea of using a toucan was born in the advertising agency of S.H.Benson in London. Staff included the talented artist John Gilroy was newly employed as the poster artist, and among the copywriting team was Dorothy L Sayers, now famous as a writer, poet and playwright, and best known for her amateur detective stories featuring Lord Peter Wimsey. She had started at the agency in 1922 and worked there while writing books in her spare time. 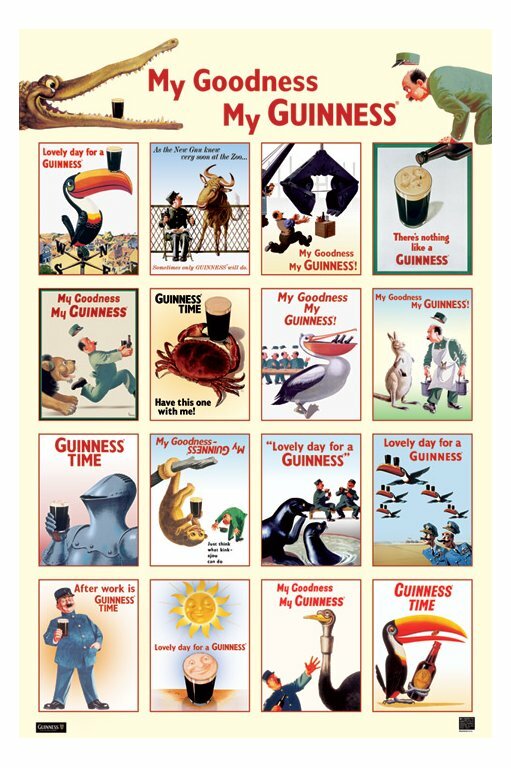 This team produced some memorable posters for Guinness including several posters in the whimsical “Zoo” series. 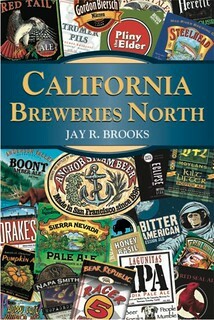 These included a zoo keeper with a Guinness, a sea lion balancing drink on his nose, an ostrich with the shape of a swallowed glass halfway down its neck, a tortoise with a glass of stout on its back, and a toucan with two Guinness bottles balanced on its beak accompanied by the words. Just think what Toucan do. The toucan returned on several occasions on all types of advertising media and on memorabilia. 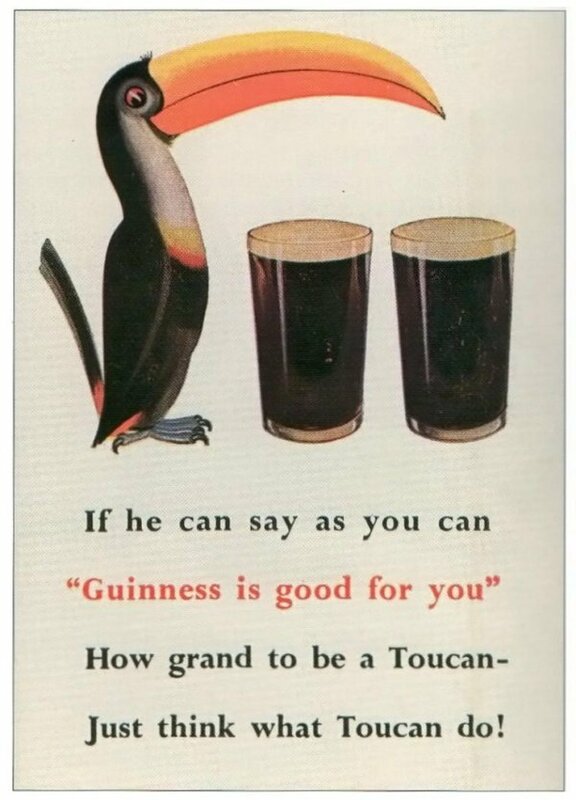 In 1982 Guinness changed advertising agencies and it was decided that the toucan was no longer an effective advertising motif and it was dropped. The text from that ad was actually written by Dorothy L. Sayers, who worked for the same advertising agency as Gilroy before she became a famous mystery writer, well-known for such characters as Lord Peter Wimsey, and others. Gilroy’s first Toucan ad, from 1935. 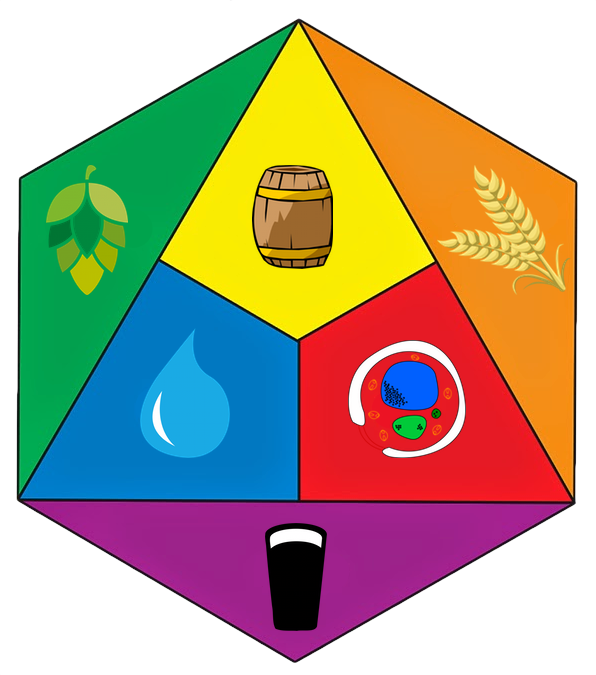 And here’s a sample of some more of his work for Guinness. And finally, by no means complete, these are other Guinness ads I’ve collected in a Flickr gallery, many of which are by John Gilroy.